Many extol the benefits of diversity, while others praise unity. God creates university (as in the universe) – unity in diversity, all His disparate creations coming to together according to His purpose, will, design and order for His glory. Apart from God’s Logos, neither diversity nor unity are profitable; on the contrary, diversity will eventually lead to hostility, and unity will lead to myopic group-think that organizes and amplifies futility and destruction. When diverse groups find ways to unify around the wrong things (man-made endeavors, philosophies, ‘-isms,’ and stratifications), they find more creative, comprehensive, and prideful ways to destroy. They create towers of Babel to reach the heavens rather than seeking the Kingdom of God. Humanistic university (often disguised in religious language) is perversity and futility. Only in Christ can there be real unity in diversity, which was Jesus’s prayer for the church in John 17 — “…that they may all be one, just as you, Father, are in me, and I in you, that they also may be in us, so that the world may believe that you have sent me. The glory that you have given me I have given to them, that they may be one even as we are one, I in them and you in me, that they may become perfectly one, so that the world may know that you sent me and loved them even as you loved me.” (John 17:21-23) Unity in Christ is the mark of a godly family and church. – Psalm 133:1 — Behold, how good and pleasant it is when brothers dwell in unity! – John 13:35 – By this all people will know that you are my disciples, if you have love for one another. – Galatians 3:26-28 — …for in Christ Jesus you are all sons of God, through faith. For as many of you as were baptized into Christ have put on Christ. There is neither Jew nor Greek, there is neither slave nor free, there is no male and female, for you are all one in Christ Jesus. – Ephesians 2:14 — For he himself is our peace, who has made us both one and has broken down in his flesh the dividing wall of hostility…. – Romans 6:5 — For if we have been united with him in a death like his, we shall certainly be united with him in a resurrection like his. – 1 Corinthians 12:24, 25 — But God has so composed the body… that there may be no division in the body, but that the members may have the same care for one another. – 1 Corinthians 1:10 — I appeal to you, brothers, by the name of our Lord Jesus Christ, that all of you agree, and that there be no divisions among you, but that you be united in the same mind and the same judgment. – Galatians 5:19, 20 — Now the works of the flesh are evident: …rivalries, dissensions, divisions…. – Jude 1:19 — It is these who cause divisions, worldly people, devoid of the Spirit. – Romans 16:17 — I appeal to you, brothers, to watch out for those who cause divisions and create obstacles contrary to the doctrine that you have been taught; avoid them. Jesus tears down all divisive walls built by mankind. Is this truth evident in your family and church? Are you a messenger of unity in Christ alone or an advocate for unity around some man-made philosophy or idea, another gospel that is really no gospel at all? As ambassadors for Christ, we have been entrusted with one message, the message of reconciliation with God (reconciliation between people is a natural biproduct). While everyone else is talking about politics, talk about Jesus – “For I decided to know nothing among you except Jesus Christ and him crucified.” (1 Corinthians 2:2) But don’t be surprised if even ‘religious’ people treat you like the Pharisees treated Jesus – “And they watched Jesus, to see whether he would heal him on the Sabbath, so that they might accuse him…. The Pharisees went out and immediately held counsel with the Herodians against him, how to destroy him.” (Mark 3:2, 6) Final note: Isn’t ironic animosity drove religious leaders to consider healing on the Sabbath unlawful but not plotting murder? Have you seen this spirit within the church? 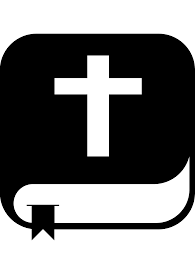 “Cross” Fit S-WOD (Spiritual Workout of the Day) – 21 Mar 19: Today, be a faithful ambassador of Christ who can be trusted with the real message of reconciliation, the Gospel of Jesus Christ. Don’t get caught up in meaningless arguments. Stick to the Truth.